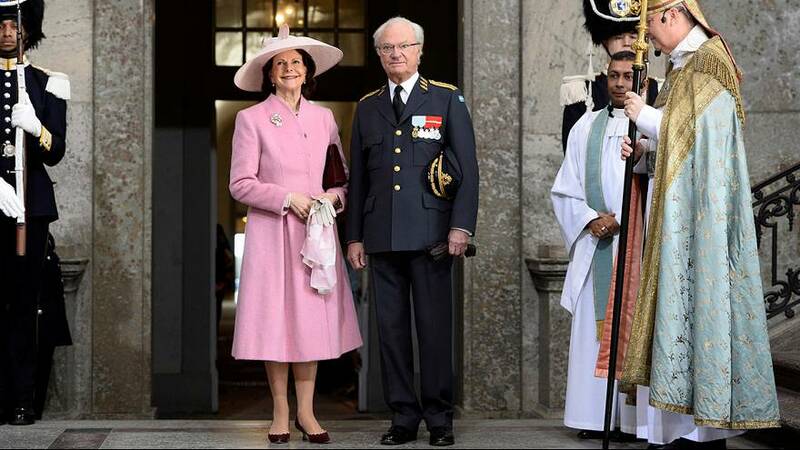 Sweden’s King Carl XVI Gustaf may be young compared to Britain’s Queen Elizabeth – he’s 70, she’s just turned 90 – but he celebrated his birthday in style on Saturday, surrounded by fellow royals from across Europe. Among those gathering at the Royal Palace in Stockholm were Spain’s former King Juan Carlos and Queen Sofia, making a rare joint public appearance. Others present included Denmark’s Queen Margrethe and the Netherlands former Queen Beatrix. Crowds sang heartily in front of the palace balcony, with the Swedish Royal Family looking on. Carl Gustaf has been king since 1973. Sweden is a constitutional monarchy, meaning he has no political power. Swedes pride themselves on their country’s social equality but the royal family remains popular and it is clear that the king has a special place in people’s hearts.